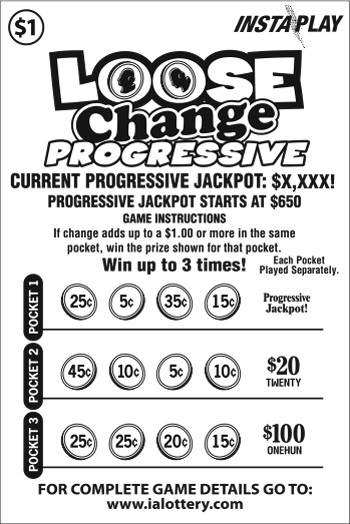 If change adds up to a $1.00 or more in the same pocket, win the prize shown for that pocket. Each pocket is played separately. *This is a progressive jackpot game. The top prize has a minimum value of $650 and the prize value increments with each ticket sold statewide. Each ticket sold has a jackpot amount on the top that applies to that ticket.